Hello, Dear Readers and Happy January to all of you! I hope you had a wonderful Christmas and/or holiday season. Did you do anything special for New Year's? I spent mine with my granddaughter and grandson and we had a great time! Hope yours was as enjoyable. For the very first time on More Agreeably Engaged, I am listing my favorite books for 2015! I'm so excited to share these with you and have made a special award seal just for the winning books and authors. 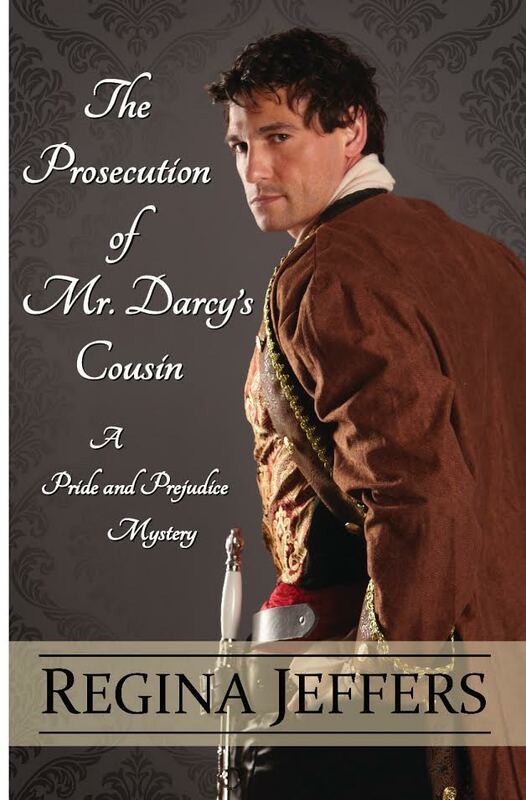 I hope you like it even if Colin Firth is not your Darcy of choice. Since my blog title and the drawing I use, depict the scene in the 1995 miniseries where Darcy speaks the line , "My mind was 'more agreeably engaged'", I felt it only fitting that my award seal should bear the same likeness. 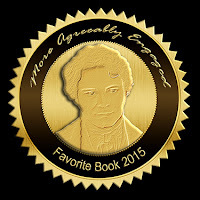 I do have a few favorite books that are not Austenesque and will list them according to their category but with the same award seal! My reading time was less in 2015 than it has been in the past few years. I didn't read over 100 books like usual, but I still read quite a few. There are so many good books available now that it makes it difficult to narrow the favorites down to just a few. Of all I read, not one was mediocre or second-rate and I enjoyed each, keeping my mind 'most' agreeably engaged. Several had the same noteworthy premise, but followed completely different paths. I do not have reviews posted for all the winning books but will post links for the ones that I have reviewed. In the next day or two, I will share with you some of the books on my very long, TBR list. I would love your thoughts on which ones you recommend! I even have a few audible books on the list as I do love those too! Ms. Starnes, you have a magical, uncanny way of getting into the head of Fitzwilliam Darcy and exposing his innermost feelings. 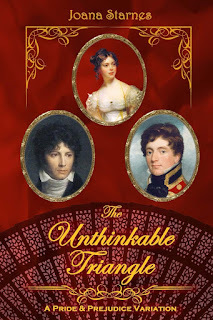 Your Colonel Fitzwilliam was charming and made this triangle heart-wrenching. 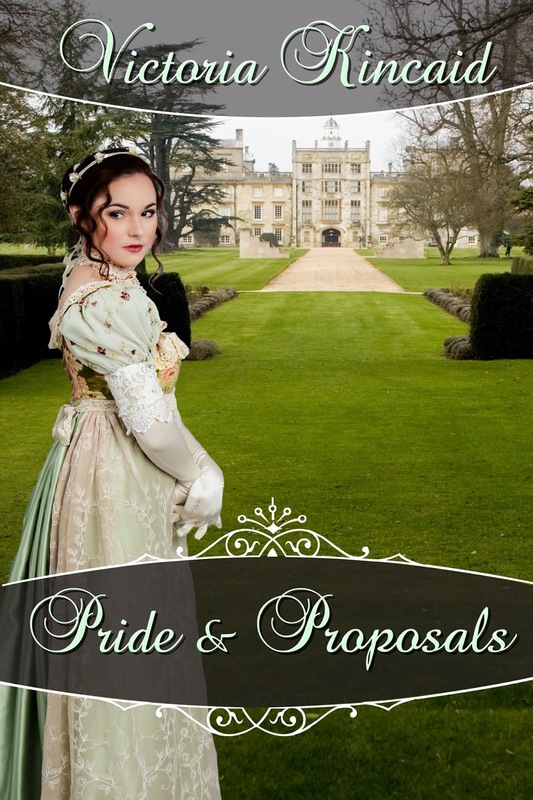 I never doubted a happily ever after for Darcy and Elizabeth and truly appreciated your resolution of the dilemma. Well done, Joana Starnes! to the end. 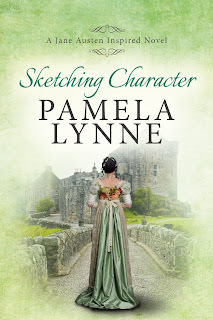 Well done, Pamela Lynne. Ms. Mackrory, having Mr. Darcy write his thoughts as a letter was brilliant. Not only did it give the reader a chance to 'know him better', it opened the door for those letters to be discovered! Delicious! Thank you for such a delightful novel. Well done, KaraLynne Mackrory. the prequel to this one! Well done, L.L. Diamond! Ms. Hahn, this book is one of my all time favorites. You took a challenging plot and made it real and poignant. I could not stop reading. You have a talent for bringing out the raw emotions of the characters with such depth of feeling that your storytelling is unsurpassed. Well done, Jan Hahn. 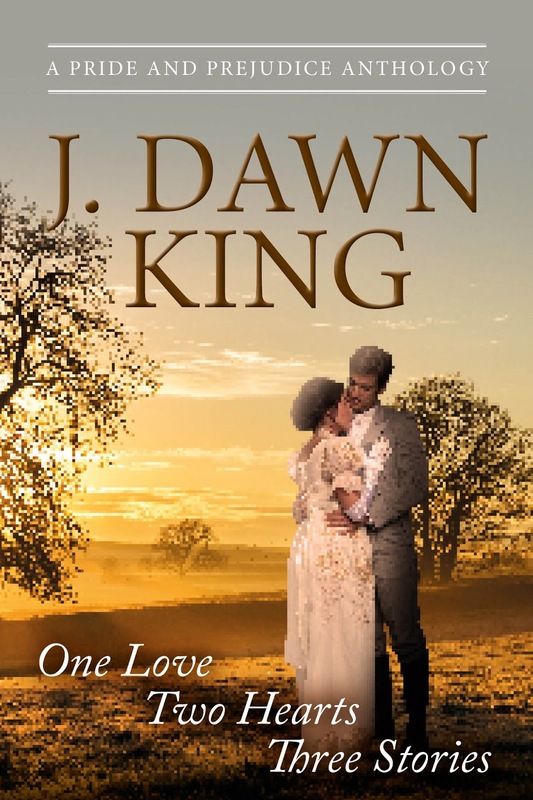 Ms. King, I simply adore the title of your anthology and the three stories included in it! 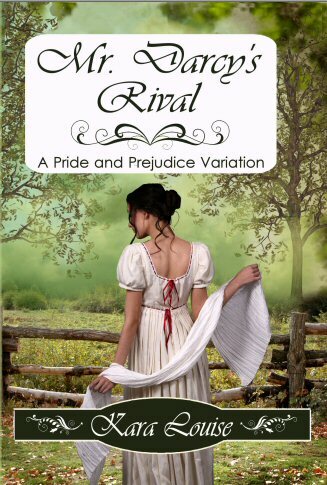 Thank you for sharing, in print, your love for Pride and Prejudice with your readers. I enjoy your work. Well done, J. Dawn King! Ms. Jeffers, I love all of your books and cozy mysteries. Your writing skills are awesome. Not only do you write a good mystery, your historical accounts are excellent and give credence to your plot. In this mystery you tackled a true-to-life problem with finesse and realism. 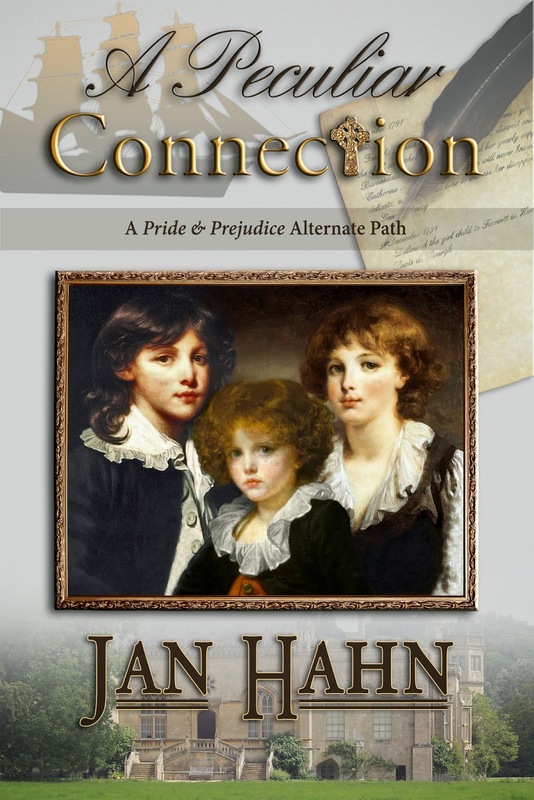 I loved seeing Darcy and Elizabeth work together to solve the puzzle involving Colonel Fitzwilliam. Well done, Regina Jeffers. Ms. Gardiner, this novel intrigued me from my first knowledge of it. I could see a modern day Darcy as you portrayed him - a precision machine when it came to his profession but vulnerable, as a man. He and the Obsidian team were fabulous as was this fast paced book! It was an unusual premise for our couple but you brought it together perfectly! Well done, Cat Gardiner. I was so excited to read this book by you, Mr. Hurd. It was everything and more than I expected. 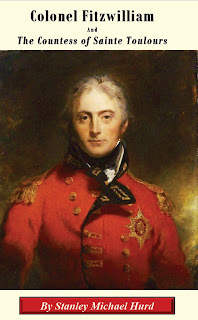 Your Colonel Fitzwilliam was wonderful and lovable and his tale was exceptional. 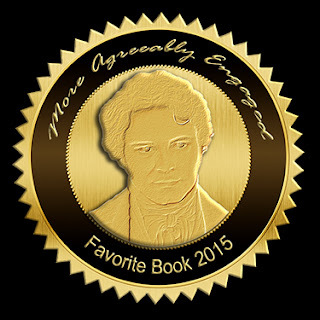 Your writing skills are superb and you have captured the essence and style of Jane Austen. (I loved Esparza and wouldn't mind a story about him!) Well done, Stanley Michael Hurd. for the holidays or anytime. Well done, Penelope Swan. and I look forward to more from this author. Well done, Jenetta James. This category is for audible books and I am going to do it a bit different than the category for regular books. 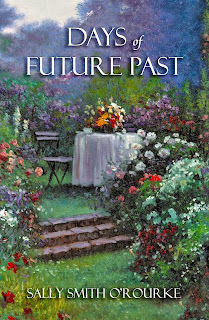 Although my first choice was actually published in mid-2014, I was unaware of it as an audible until 2015. I actually thought it was a 2015 release so decided to go ahead and include it in the winning category. I hope you will forgive me this one indulgence. When I draw pictures, it is a perfect time to listen to audible books. I cannot easily watch TV and draw at the same time so I have found this new venue to be perfect for me. I have had the privilege of listening to many good books while working on my art. It makes for a delightful way to spend my time doing two things that I love, drawing and reading. Most of the books that I have heard, were actually published in years past. I plan to review some of them on my blog throughout 2016. 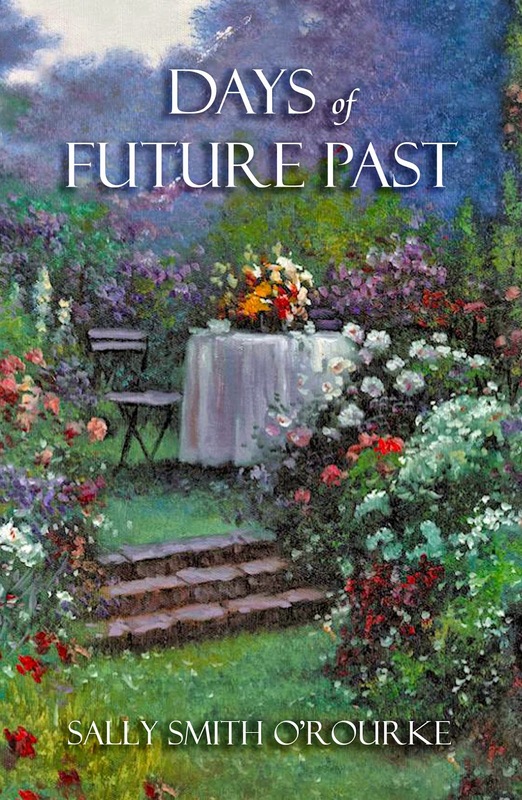 I loved this audible and found the premise engaging. The connection between the gypsy, Elizabeth and the drawings was fascinating and kept me anticipating the outcome. I like your writing style, Ms. Sotis. I will be listening to this one again. The narrator did a fine job, too. 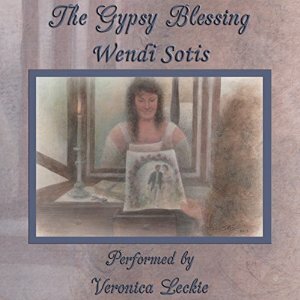 Well done, Wendi Sotis. The recitation by Miss Sophie Andrews of Sarah Johnson's fun novella made for an exceptional listening experience. I have already listened to it twice and know I will be doing so again. 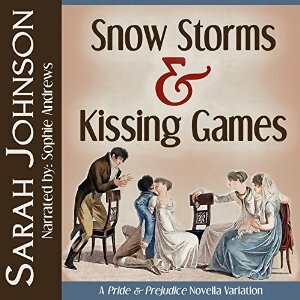 The snow storm set the stage for an interesting set of events and Sophie's voice made the story come alive. Good writing and good narration! Well done, ladies. Book One in this series is one of my very favorite books by Ms. Dixon. Young Ben is adorable and Darcy is awesome. 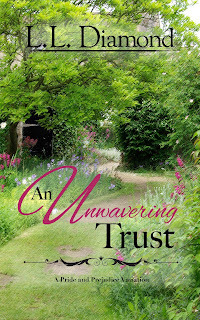 The interaction of the two was moving and showed a different side of Darcy. This Christmas vignette was a wonderful way to continue the story of Book One. Now I cannot wait to read the third book. Well done, P. O. Dixon. The last section is for books that are not based on Pride and Prejudice. If you have not had a chance to read any of these, I highly recommend them. and helpful for the children. 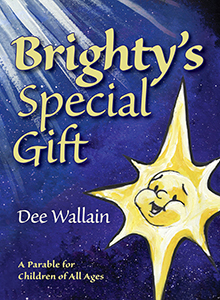 Well done, Dee Wallain. Ms. Clarkston, I loved this book! I have been searching for and reading anything I could find of North and South variations or re-tellings. I have read several that were good but yours touched my heart. You did the characters justice and the story was superb. I hope you will be writing another. of the books that continue this magnificent story. Ms. O'Rourke, thank you for the privilege or reading this book before it was published and then the edited version after its release. I found your premise both thought-provoking and entertaining. Your writing captured my imagination, as usual, and I was mesmerized. Well done, Sally Smith O'Rourke. As always, your books are wonderful, Kara Louise, this one included! It did not disappoint. I found the rival intriguing and Anne's talent at writing gratifying. I liked her. Thank you for continuing to share your special talent of writing. What a fun collaborative effort by five fabulous authors. It was delightful to see the relationship between Darcy and his brother, Theo, and witness their reconciliation. I love Theo Darcy! Enough said! Well done, ladies. Jennifer, this was such a great debut novel for you. You definitely are following in your mother's footsteps. I love your writing and cannot wait to read more of your work. Well done, Jennifer Joy. and thought provoking! Well done, Shannon Winslow. 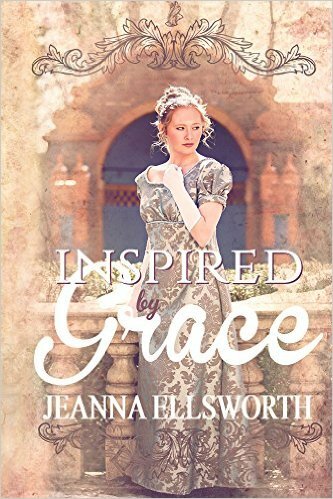 Jeanna, your debut into Regency romance was truly inspired. I loved your book and your cover. You are a gifted writer with an ability to subtly deliver a message. Well done, Jeanna Ellsworth. the truth of the matter. Well done, Rose Fairbanks. and the diverse approach to the theme of your stories. Well done, Victoria Kincaid. I would love to hear your thoughts on any of these books. Have you read many of them? If not, I highly recommend each and every one. Do you have suggestions you would like to share? 'more agreeably engaged' with the joys of extensive reading! Great list Janet! I love seeing your take on these choices. I've read almost all of these and can understand why you loved them too! A job well done and thank you for sharing! Thank you, Claudine. I'm so glad that you stopped by. It was fun compiling this list of favorites and reliving bits of them. Glad to hear that you have read most of them. Happy New Year to you Janet. I've read/listened to 12 of the 26 books listed. For four of them, I also had the immense privilege of being a beta reader, so it's especially good to see them up there in lights. 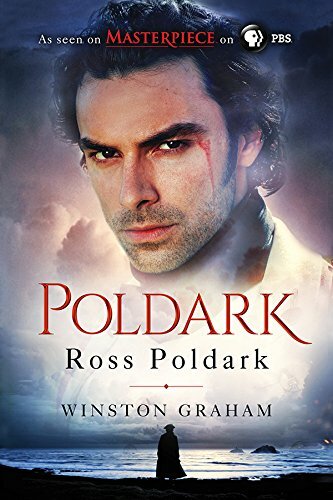 Did you know that the Poldark novels are also available from Audible? At least the first two of Jennifer's Cousin's series are also out in that format. I'm currently listening to the second one of those. Of the rest, they're either on my Wish List or the humungous TBR/TBL lists that I have. I'm taking part in Sophia Rose's TBR challenge on Goodreads this year as an incentive to try to make a dent in these lists and to be more conscientious in reviewing as I go. Looking forward to seeing what you have planned for 2016. That's fantastic, Anji. It is great when you have been a beta! I did not know that Poldark was available from Audible. I will have to check in to those. That is a good idea to take the reading challenge. I did one that Laurel Ann had and that is how my blog came into existence. I needed a place to post my reviews and I had been thinking of starting a blog, so here I am! My reading list is huge too! I hope to make a dent this year! I agree completely, Ceri. I am becoming more selective with books and what appeals to my tastes. Since we have more to choose from now than when I first started reading JAFF, that is nicer too. There are many that sound like something I want to read, but time has been such a factor that they have had to wait...thus the long list! I hope you get to read more for 2016 too. Are you all healed and back to normal? Great list! Some of my faves too! Thanks, Christina! The two you edited as well as Beau North's are on my TBR list! Wish I could have gotten to them last year! Dear Janet, thank you for including Sketching Character among such great books. I am over the moon happy that you liked it so much. I have read and immensely enjoyed Denial of Conscience, Joy King's anthology and A Sense of Obligation. Joana and Victoria are on the top of my TBR pile. You've made me even more anxious to pick up their books. Thank you for all you do for our community of authors and readers. I hope your 2016 is as lovely and amazing as you! There was never a doubt about yours being included! As you know, I loved it! I hope you get a chance to read Joana's and Victoria's soon. I bet you will enjoy them. Thank you for the kind words. It is my absolute pleasure. Thanks to each of you authors who share your talent with us and give us many hours of reading time, allowing us to live in another world for a little while. Wonderful list, Janet! Thank you for including me in Honorable Mentions :) Congratulations to these amazing authors and their fabulous stories! Thank you, Jennifer Joy. I hope to be reading more of yours this year. I did not get the chance in 2015. Will you be releasing more in 2016? Thank you so much for choosing An Unwavering Trust! You've made my week! My husband has just stopped hearing me say "5 stars" and now he's going to have to endure me randomly telling him I made a favourites list. How he suffers! Mwah ha ha! My daughter was afraid I would delete the Mwah ha ha and posted my comment before I could congratulate the other authors listed. Congratulations everyone! 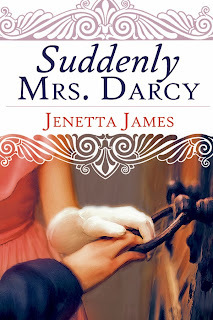 Janet, Thank you so much for making Mr. Darcy to the Rescue a favorite variation and giving Pride and Proposals an honorable mention. I am honored to be included! 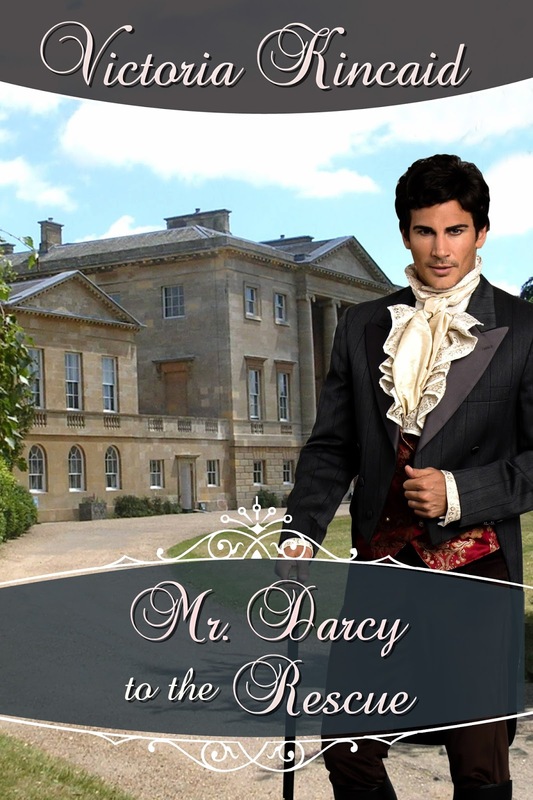 As you know from my review, Mr. Darcy to the Rescue was a favorite. You come up with some different and intriguing premises for your books and I think that is probably getting more difficult. I also loved the approach of your first book! Keep them coming! Jenetta, you are welcome. 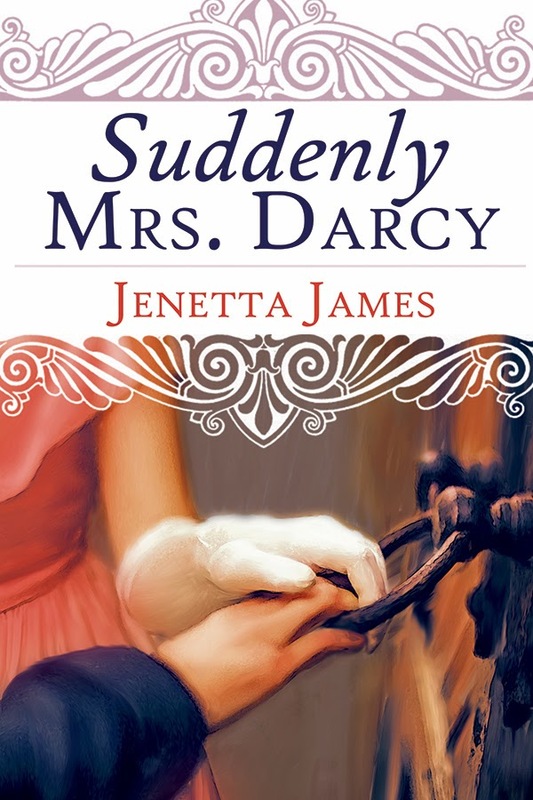 Your book was refreshingly different and your Mr. Darcy was awesome. Glad this was a nice treat for you on a cold January day! Did I just see you will have a new book out soon? Yay! I'm thrilled to hear it, Jenetta! 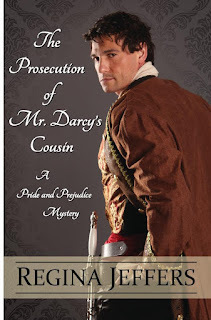 So pleased to see The Darcy Brothers on your list, Janet! It was a lovely surprise. Lots of books on your list are going in my TBR pile. Congratulations to everyone who made it here. Thanks, Monica! 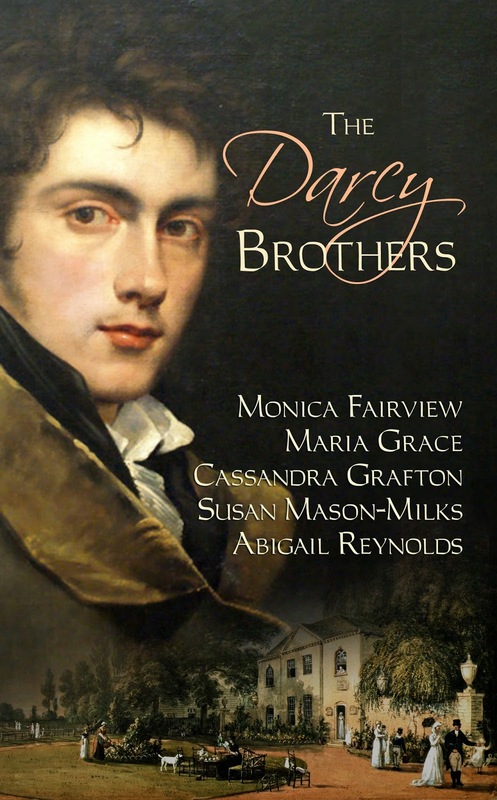 The Darcy Brothers was a great collaboration of five great authors! It was fun and serious at times. I loved how the siblings and cousins conspired to help! Thrilled to see A Peculiar Connection among your favorite books for 2015! And having Darcy's dear face on your beautiful seal is an added bonus. Thank you so much, Janet, and congratulations to the other excellent writers on your list. So happy to hear you are thrilled, Jan. 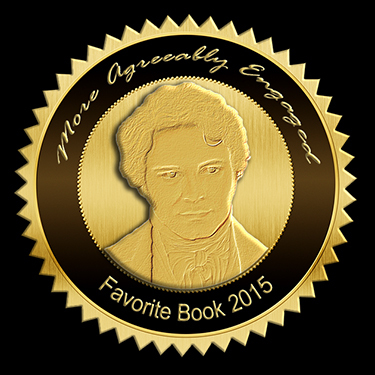 Your book is definitely a favorite of 2015 and all time, as are the rest of yours. Hope you have something new for us soon! 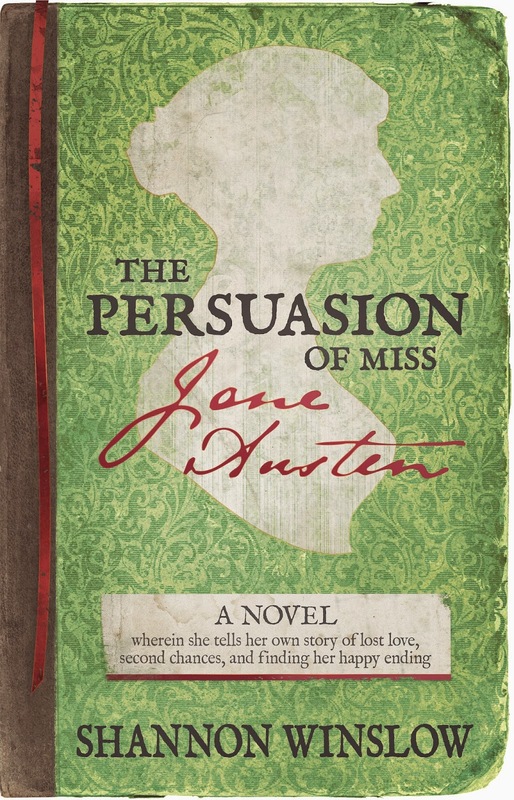 What a lovely surprise, finding that The Persuasion of Miss Jane Austen received an award from you, Janet! I needed a little pick-me-up today after my beloved Seahawks were eliminated from the playoffs earlier. Thank you! Glad that the timing was good! :) Sorry about the Seahawks but delighted this was a pleasant surprise. Your imagination is awesome and gave us much to ponder in this fascinating tale of what 'could' have happened! The ending was memorable! Thank you so much for including Days of Future Past in your awesome list. I feel particularly privileged since it is one of only two non-austenesque offerings (in league with Poldark? unbelievable). 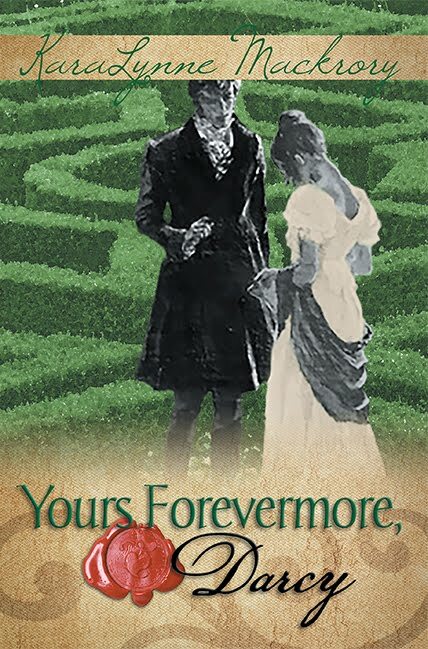 Thanks again for being one of my most ardent supporters for my little Austenesque and non-Austen works. I am most certainly a supporter of your work. It is a pleasure to read your books. Thank you and I hope you have some in the works! I'm flattered that you like the seal! Thank you! 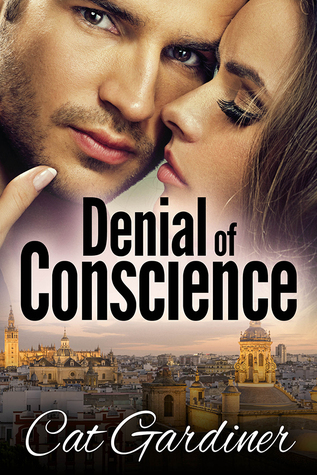 Denial of Conscience is an exceptional book on all accounts. I have read all but three of these! Wow. Quite a list! I have not read the North and South one and must check it out as I love that story (the book and the movie). You have done well, Sheila! Pleased to hear that you have read most of them. 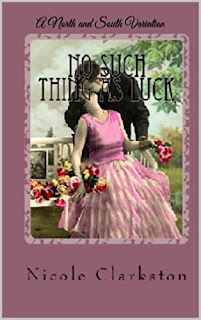 You definitely need to read NO SUCH THING AS LUCK. 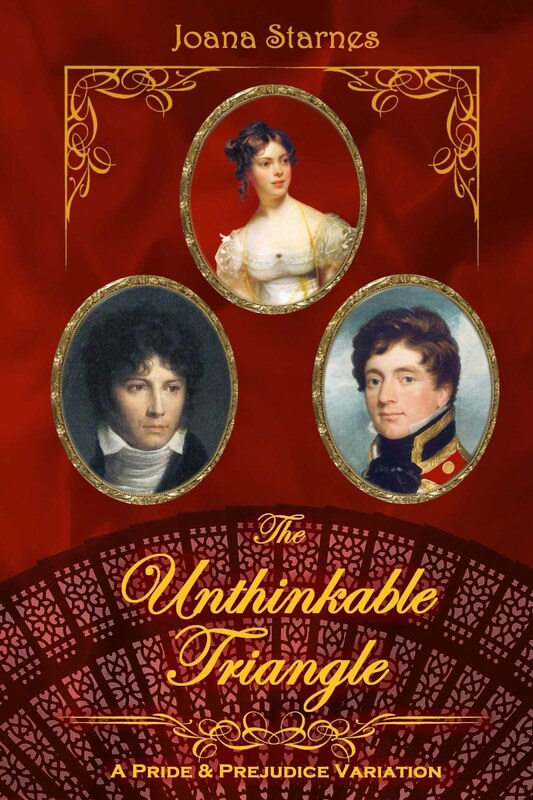 I love the movie too and the Elizabeth Gaskell's book. 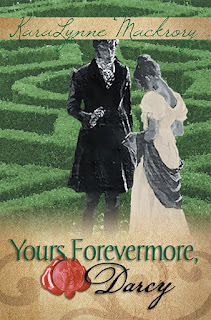 I have read several good N&S fanfiction books but this one was tops for me. Now I am anxious to read the P&P variation by this same author. I wish there would be more good N&S variations written. I think there would be much interest. I am always curious to see everyone's favorites lists and comparing them to my own. I counted off several of the same here and many that are on my must read pile. Love that you took the time to explain why, too. Hope you get back to your reading stride in 2016 and the many good books coming up. I'm delighted that you enjoyed my reasons for choosing each book. It was pleasant to go back over each in my mind while doing it. I plan to read your stories in 2016. Haven't had the chance to read those books yet but they are on my list. Will you be writing a book or more short stories? I'm hearing good things about your work. Wow - I feel so honoured to be chosen as your Christmas favourite! :-) Thank you, Janet, for mentioning my book and I'm so pleased you enjoyed it. Congratulations to all the other winners! So happy to hear, Penelope. I thought is was a lovely and well developed novella. 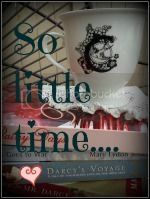 It was endearing to see Darcy as a young boy in the beginning and to read about his 'accidental' encounter! I am delighted that The Mission: He Taught me to Hope Christmas Vignette was chosen as your favorite Audible Christmas story, Janet. I love knowing you're an ardent fan of the series. A thousand thanks! Pam, I have had the wonderful listening pleasure to hear many of your good novels. Had I listened to more that were released last year, they would surely have made the list too. I haven't had the chance to read some of your latest books but they are on my TBR list as well. I will post that list, hopefully, next week! You are welcome, Wendi. It was an awesome book! I couldn't wait to see what each drawing would show or change. Fantastic idea! I'm also honored that you love the award graphic! Thank you so much! Thanks so much for the honorable mention! I'm flattered to be on a list with so many other great books! I've read quite a few of these and have several to add to my list now. Hope you have a good 2016 with fantastic reading! Thank you and I hope to have more reading time in 2016. There are so many good books available and several of them are yours! I have them on my list too! Glad to know you have read quite a few on my winner's list! I am now half way through it. Have you read Pack Clouds Away by Lucy? 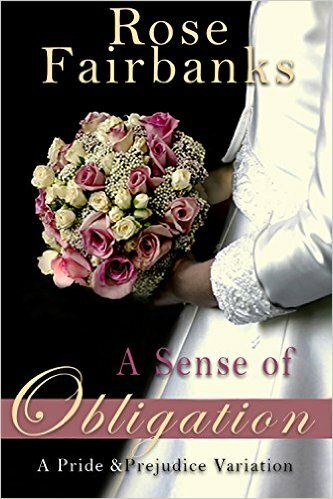 It is a sequel and has the most tender and gentle wedding night I have ever read. Just loved it. Let me know your thoughts when you finish it. I have not heard of the one you mentioned. I will have to look for it. Thank you for telling me about it. I finished that book and posted a review on both Amazon and Goodreads. This comment was left after a review I posted on Amazon of North & South. 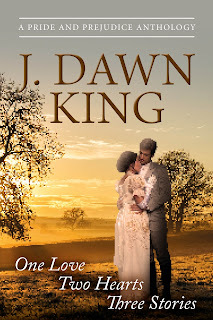 I went to that and shared it with Joy Dawn King...we both loved the story. As for a sequel to the story, there's a very well-written continuation to the book at C19.proboards.com entitled "Pack Clouds Away." It's not available for sale. Went there and signed up. I found the story but haven't started reading it yet. Will try to start it in the next few days. Thanks so much for telling me about it. Is the comment you mentioned about the Pack Clouds Away by Lucy or is there another book and I am missing something? The comment was left by a person who read my review on Amazon of North and South in which I lamented the lack of a sequel by the author. The comment directed me to Pack Clouds away. I've read 18 of the books on your list and I agree that all of them are outstanding. 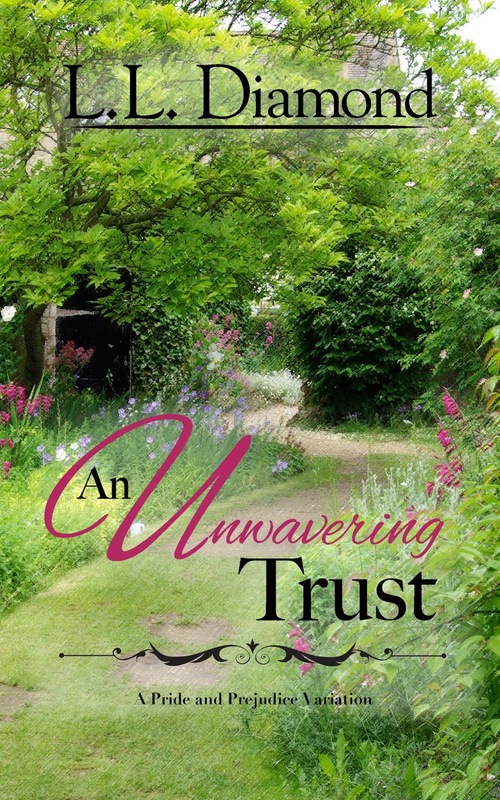 What a talented group of writers we have to choose from in JAFF and I for one am so thankful. I am thankful too. Thanks for stopping by and telling me your thoughts. Janet, even though I am late to the party, I do want to thank you so very much for having included Colonel Fitzwilliam among your honorees. My excuse for having been so slow to reply is that my computer crashed last week and I almost lost my two WIPs. That catastrophe was avoided, narrowly, but it has put me behind. Thanks again, and have a great 2016! Never to late to join the party, Stan. Thanks for stopping by. To have a computer crash is disastrous in and of itself BUT to nearly lose two WIPs, well, that is almost enough to 'make a grown man cry'! :) Glad the catastrophe was avoided. Now I am anxious for these WIPs to be finished books. Hope you have a great 2016, too, and you are welcome. I loved the book and the new characters as well as the originals. Jenetta, you are publishing in the summer? Can't wait. I am sure it will be fantastic. I have read the first one twice already. What a great selection of praiseworthy books,Janet. Have read quite a lot of them and have noted some to be put on my TBR list. I guess Northern Rain will feature in this year's list!! Well deserved,if it does! Then Comes Winter...Book on Tour!